Are you spending hours every day, posting your executive resume on job boards? If so, cut it out! Although job boards do serve a purpose, I hesitate suggesting you use them at all, because in my experience, too many executive job seekers get sucked in once there, spending way too much time responding to job postings. 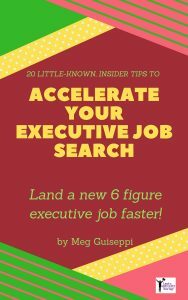 The vast majority of executives spend most or all of their job search efforts on job boards, but very few of them − especially executives at the top level (c-suite, President, GM, SVP, etc.) − land jobs through job boards. Jobs posted may not be legitimate openings. Job descriptions may not truly represent the job. Jobs may have already been filled, but still linger on the job board. You may not be able to delete your resume from their database once you land a job, making you forever appear as an active job-hunter and jeopardizing future jobs. Job boards are an even worse prospect for job seekers over 50. Job boards may pose a particular problem for those over 50. In an April 2017 Forbes article, Chris Farrell cited research by Illinois Attorney General Lisa Madigan into age bias on major job search portals Monster, Indeed, CareerBuilder, Vault, Beyond and TheLadders. When questioned about this recently by NPR’s Ina Jaffe, Monster had no comment; CareerBuilder and Beyond responded that they had corrected it; TheLadders said their site doesn’t have cutoffs; Indeed said their possible dates go back to 1900; Vault couldn’t be reached. Not just a bad option for older job seekers, Chris echoed my warning that the big job portals are mostly a waste of time for ANY job seeker. Along with the above reasons, your resume can easily be lost in the black hole that is Applicant Tracking Systems (ATS). When you post your resume on a job board, it will immediately be thrown into a database with an ATS that matches jobs to candidates based on specific keywords they search your resume for. Human eyes won’t review it, unless and until it manages to get called up in response to a specific job opening. Then, your resume must contain enough of the keywords they’ve deemed important. And . 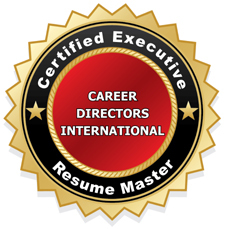 . . your resume must be formatted correctly to make it through ATS. Plus, every ATS is built differently. There is no standard for resume formatting across all ATS. And . . . if your resume isn’t re-tooled – each time you apply for a job online – to contain the right keywords for each particular job posting, you probably won’t make the cut. All of this severely limits the chances your resume will be seen, and that you’ll land a job through all that time spent on job boards. 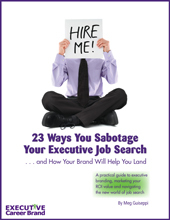 So, avoid job boards in favor of the best job search strategy. 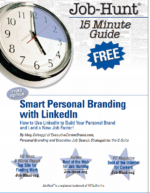 Your time will be much better spent in networking – the old-fashioned way to land a job . . . with a new twist these days. Older job seekers typically have more expansive networks to tap than younger ones. A bigger network means more potential job leads. And networking is the only way to tap into the goldmine of “hidden” jobs that never show up on job boards. Today, social networking makes it easier than ever to re-connect with people you’ve let lost touch with, and reach out to new faces. But don’t give up on job boards entirely. 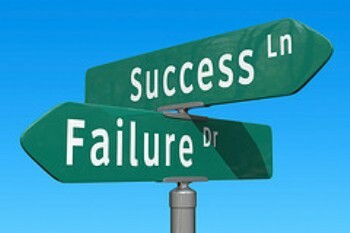 Instead of languishing on the boards responding to job postings, go to them for company and industry research purposes. Find job descriptions that look like a mutual good fit in terms of qualifications — whether or not the location or the actual company itself is a good fit. How to use job boards for research and market intelligence. Search the job titles you’re seeking to uncover the all-important job-specific relevant keywords you’ll need for your resume and online profiles. The keywords will represent areas of expertise, such as “Financial Analysis” or “IT Infrastructure”. 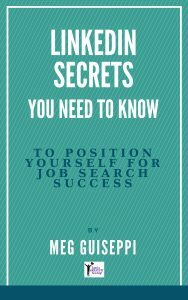 The right keywords in the content of your job search materials are important to help you get found online. Search the job titles you’re seeking at the companies you want to work for, to uncover company and industry particulars, and to help you with due diligence.